Kraftin Kimmie & One Crazy Stamper BLOG HOP!!!! Welcome to One Crazy Krafty HOP!! Today Kraftin’ Kimmie Stamps is combining forces with One Crazy Stamper to bring you an incredible blog hop filled with lots of krafty goodness and PRIZES!! Kraftin’ Kimmie Stamps is an online Canadian stamp company with whimsical stamps from several different artists, catering to cardmakers and scrapbookers with lots of different styles! 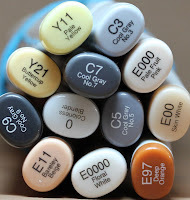 If you like to colour….you’ll love our images!!! Check us out at our krafty SHOP! Our blog hop today features both Kraftin’ Kimmie Stamps and crafting goodies from One Crazy Stamper with projects created by design team members from both teams!! Be sure to hop around from blog to blog and leave a comment at each stop, because some lucky random commenters are going to win some krafty goodies!!! **Please make sure to hop through the entire list of participants since we will be giving away some super cute Kraftin Kimmie Stamps to random commenters on the DT member's blogs! And be sure to become a follower of the OCS blog, we will be posting winners of the blog hop candy on the OCS blog, Dec 4th! Wanna see what we are giving away?! For my last post for this months Food/Drink challenge, I stamped the hilarious Art Impressions Girlfriends image - just imagine yourself on a beautiful white beach in a tropical location gossiping with your gal pals - wouldn't that be lovely!!! The image was stamped with Memento Tuxedo Black ink onto Copic Xpress It paper, colored with Copics and fussy cut, then mounted on to two papers from Fancy Pants Beach Babe paper collection that was available this past summer. I used a Versamark pad and a light tan embossing powder to imitate the sand. Today is the last day to enter this months challenge and the winners will be announced tomorrow. Thursday will be the start of December's challenge, so keep checking back to see the theme. 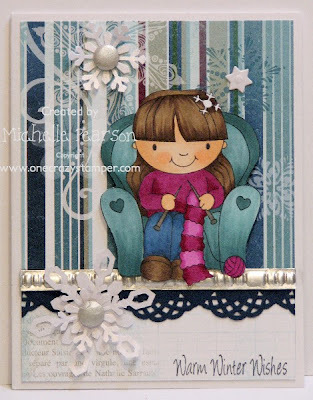 Don't forget that tomorrow is also an extra special day for us here at One Crazy Stamper, our first blog hop with Kraftin' Kimmie, come back and check out all of the wonderful cards that the dt's have created. ....Ellie that is!! Ellie Loves to Knit is the name of this cute stamp set from Your Next Stamp. 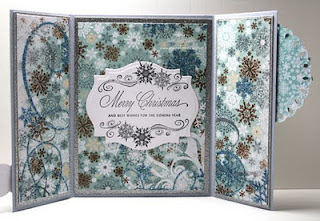 You can check out all of the new winter images at One Crazy Stamper! I fussy cut my image an mounted it with foam tape. I used some Martha Stewart snowflake punches and embellished them with Candi. Other items on this card are a metal embossed sticker strip and an edge punch. 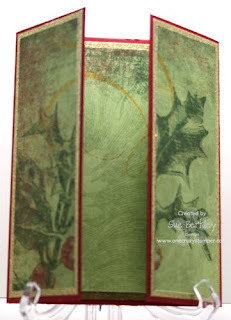 It's Sue here and for my post today I have a Gatefold Card and Variation Tutorial. Fold both ends in to meet in the center. 1. 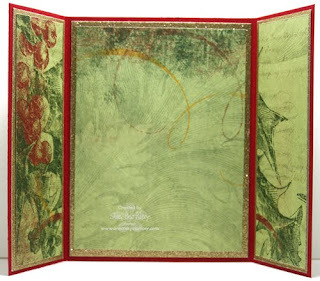 Cut 4 pieces of gold cardstock 1 7/8" x 5 5/8" and 1 piece of cardstock 4 x 5 5/8". 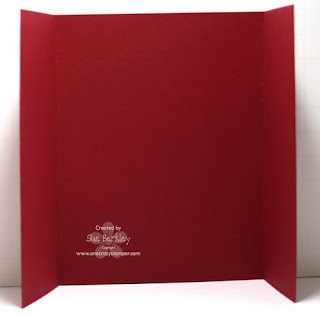 Also cut 4 pieces of Father Christmas Berries (BoBunny) 1 3/4" x 5 1/8" and 1 piece of the same paper 3 13/16" x 5". 2. Using the X-Press It Double Sided Tape, the designer papers were adhered to the gold, which was adhered to the appropriate panels. 3. 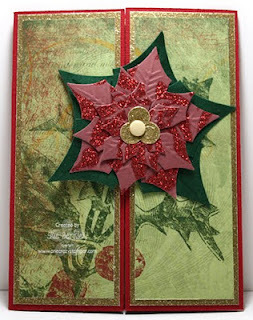 Using the Spellbinders Layered Poinsettia, and paper that was hidden in my stash, the various layers were cut and embossed. 4. The poinsettia was then assembled using glue dots and a brad. X-Press It Double Sided Tape was then added to one side of the poinsettia and adhered to the right side front panel. 5. The sentiment Snow Brackets (Stampendous) was stamped on a piece of X-Press It Blending Cardstock that has been cut and embossed with Spellbinders Nestabilities Labels Eighteen and adhered to the center inside panel of the card. 1. Cut 4 pieces of silver cardstock 1 7/8" x 5 5/8" and 1 piece of cardstock 4 x 5 5/8". 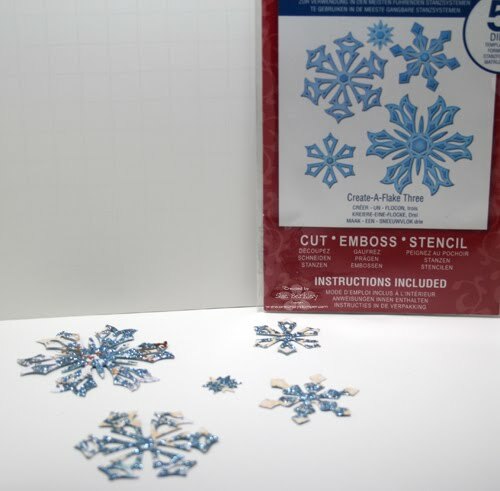 Also cut 4 pieces of Snowfall Blizzard (BoBunny) 1 3/4" x 5 1/8" and 1 piece of the same paper 3 13/16" x 5". 2. Using the X-Press It Double Sided Tape, the designer papers were adhered to the silver cardstock, which was then adhered to the appropriate panels. 3. Using the Spellbinders Shapeabilities Create-a-Snowflake Three and a sheet 12 x 12 Snowfall Drift (B0Bunny)the various pieces were cut and embossed. As the dies wouldn't cut completely through, an extra piece of cardstock was used as a shin. 4. The snowflake was assembled using Sticky Thumb Dimensionals. 5. A Tear Drop Circle was cut and embossed using a piece of Snowfall Drift (BoBuny) and the Spellbinders Nestabilities Tear Drop Circles. 6. The Snowflake was adhered to this circle which was then taped on one half and adhered to the right front panel. 7. 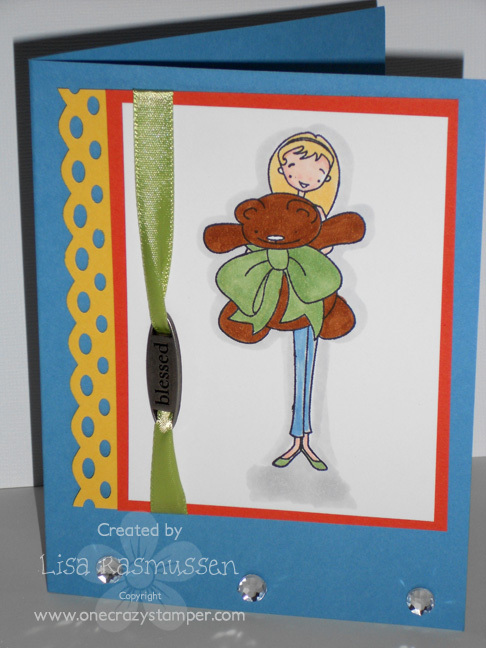 Using the Spellbinders Shapeabilities Grommet Tags, a tag was cut and embossed. 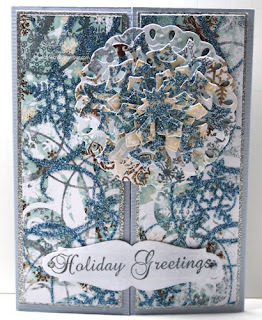 The Holiday Greetings sentiment from the Cardinal Holiday Mailbox (Heartfelt Creations) was stamped onto the tag which was then lightly inked with Polar Blue (Versa Colour) ink. X-Press It Double Sided Tape was added to the left side and the tag was adhered to the left front panel. 8. The sentiment Snow Brackets (Stampendous) was stamped on a piece of X-Press It Blending Cardstock that has been cut and embossed with the Spellbinders Nestabilities Labels Eighteen and adhered to the center inside panel of the card. Hi All!! Well I tried to brave the stores for all of the spectacular deals but only did one! One Crazy Stamper has the right idea by giving us GREAT DEALS but from the comforts of our own home! I love that! AND to top it all off I spied some new stuff in the store that is on my Christmas list to Santa this year! Especially some of the new Kraftin Kimmies and My Favorite Things! I love the a la mode collection by My Favorite Things and they really became one of my favorite new collections! 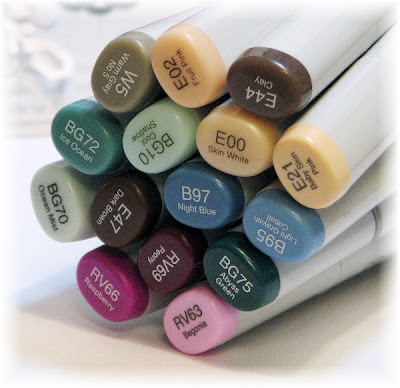 They are so fun and fresh and of course great to color! I used Oh Baby for today's card. All of those baby showers I had in October and November are expecting their babies in December so I needed some welcome baby cards. I had these ribbon charms in my stash for years and I am really trying to use what I have cause I HAVE soooooo much stuff that I can't find my way around it all. Hope you all can find some crafty time this weekend! 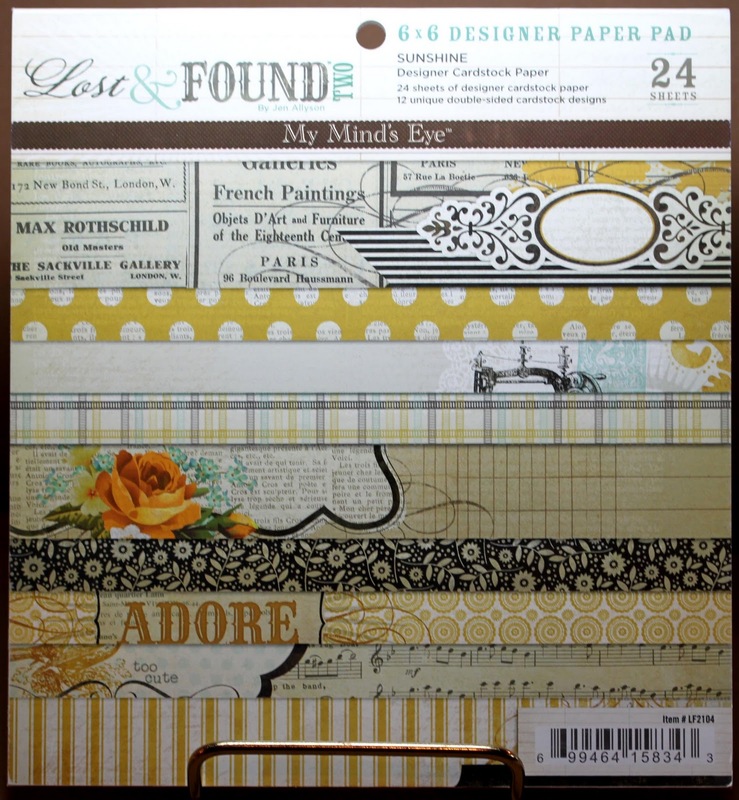 Today I am spotlighting this 6 x 6 paper pad: Sunshine by My Mind's Eye. 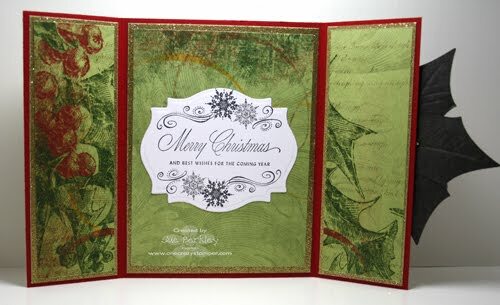 I used four different papers from this double sided collection to make the card below. The beauty of using a coordinated paper pad is you know everything will go well together! 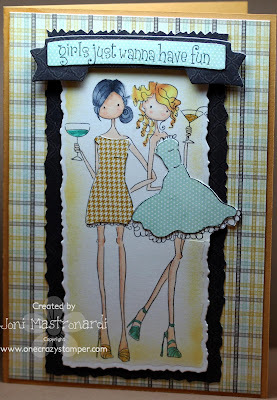 My featured stamp is Uptown Girls Victoria and Juliette's Night Out by Stampingbella. 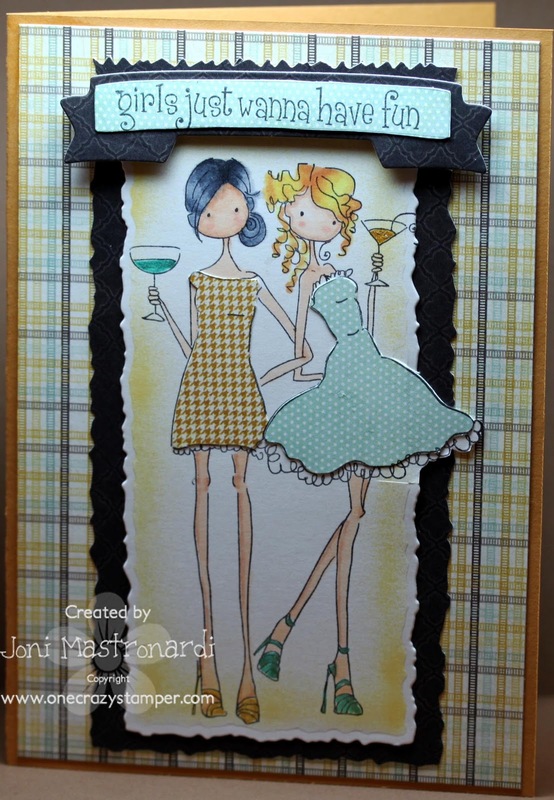 I stamped the focal image with Memento Tuxedo Black ink and paper pieced the dresses with My Mind's Eye Sunshine designer paper pad. I cut out the focal image with a nestie and layered it onto more coordinated dp from the collection. I cut out the sentiment with a ribbon banner. 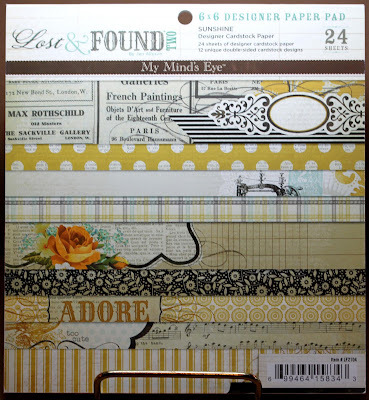 Check out all the 6 x 6 paper pads at One Crazy Stamper. Your Next Stamp Fall Card Duo! 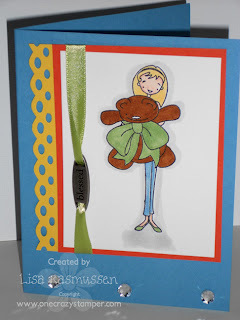 Tilda Recipe Card - Tis The Season!! !